I will admit that I have always had a sweet tooth and I have the fillings to prove it! Part of my problem is that I like all kinds of candies: hard candies, soft candies, chocolates, caramel, pretty much anything. The other day I was eating some Jordan Almonds and doubting seriously that the almonds I was munching on come off trees in Jordan, although it would be pretty neat if nuts had a candy coating instead of a hard, uneatable shell. The story is that Jordan almonds originated in ancient Rome, where honey-covered almonds were introduced by a Roman baker and confectioner named Julius Dragatus who while an accomplished confectioner, was not a very good geographer. Jordan almonds are not alone in having a confusing moniker. 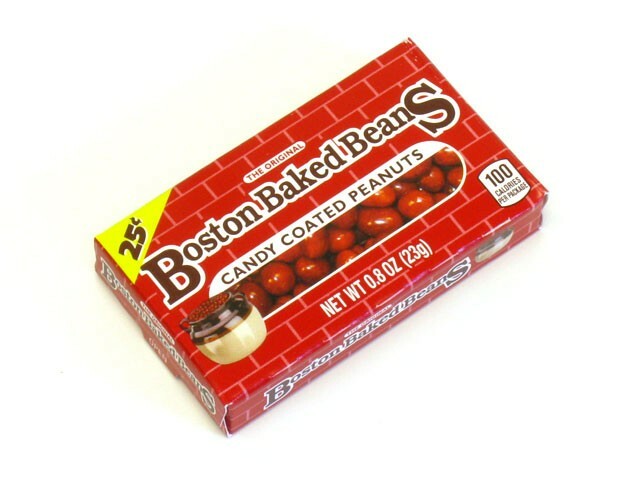 What about Boston Baked Beans? There are no beans involved, they are candy coated peanuts distributed by a company based in Illinois. Then there are Swedish fish. There is no trace, thankfully, of fish in Swedish fish. This candy is a fish-shaped, chewy candy that was originally developed by a Swedish candy in the late 1950’s for the American market. This also lead me to think about cow-tails which, again thankfully are not candy covered tail but a long cream-filled caramel. The point is that there are many candy names that do not make a lot of sense. Some candy names have led me to erroneous geographic impressions of the world; unfortunately this does not dissuade me from consuming more candy than I should. This entry was posted in Humor and tagged candy on March 14, 2017 by Leonard. Don’t forget satellite wafers, they don’t have pieces of satellites in them. Also luckily smarties aren’t made of brains, though I bet zombies would love them if they were.